Duplicator is another new puzzle platformer flash game with a twist on mochigames. In this game, you are gray colored eyeless creature whose objective is to seek his missing pet. You will have to explore rooms if you are to find your lost pet. But obstacles will make your quest difficult and this where you will employ your special ability which is duplicating things around you and even your own self. This one has a unique gameplay and progressively challenging levels with puzzling scenario that makes you think. Anyways, if you got really stuck at some point of the game, you can view this Duplicator walkthrough showing how to beat the game in under 10 minutes. Duplicator is another new puzzle platformer flash game with a twist on mochigames. 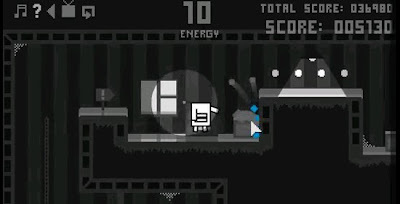 In this game, you are gray colored eyeless creature whose objective is to seek his missing pet.